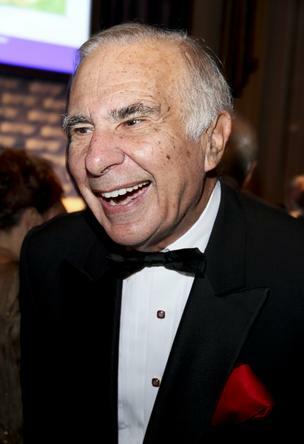 'MLM' The American Dream Made Nightmare: A Happy 'Herbalife (HLF)' birthday to Carl Icahn. 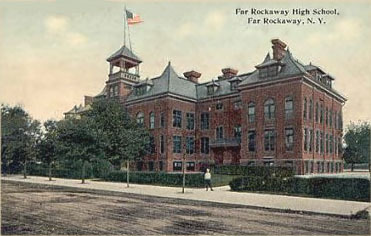 It is a little known fact, but, back in the 1950s, Carl Celian Icahn and Bernard Lawrence Madoff were neighbours, and near-contemporaries at the Far Rockaway High School, in the New York City Borough of Queens. Indeed, when you look at photos of Icahn and Madoff (who is two years Icahn's junior), they could easily be mistaken for cousins or brothers. 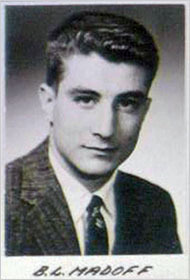 In 1960, Bernie Madoff (aged 22) founded Bernard L. Madoff Investment Securities LLC, with $5000 earned from his jobs as a lifeguard and installer of fire protection systems. Bernard L. Madoff Investment Securities became one of the principal investment firms on Wall Street. His two sons, Mark and Andrew, worked for him. Bernie Madoff became active in the National Association of Securities Dealers (NASD), a self-regulatory association for stock-market companies. His own company becomes one of the top 5 companies developing Nasdaq, of which Bernard Madoff became Chairman briefly. When Madoff's fund made significant losses, he instigated a dissimulated closed-market swindle which he hid in plain sight - attracting more and more victims by inverting-reality and steadfastly pretending always to generate significant investment profits regardless of market trends. 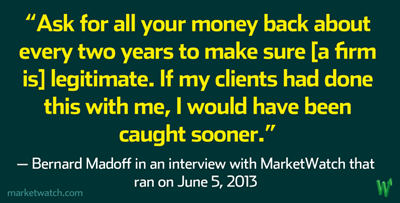 In reality, Madoff was not making any trades, he was peddling infinite shares in his victims' finite money. After the fall of financial markets during 2008, victims caused Madoffs' swindle to collapse when too many of them demanded repayment. The FBI was called in by Madoff's own sons, and the SEC announced that Madoff's claimed 50 billions assets, were fictitious. December 2008, Bernie Madoff was finally arrested by the FBI. It was then revealed that low-level SEC officials had been fully-informed of Madoff's hidden crimes many years before (when these were relatively small-scale), but senior SEC officials had refused to take any action. Furthermore, the absurd financial fairy story spun by this sociopathic Ponzi schemer, had never been seriously challenged by the mainstream media. You can fool some of the people all of the time and all of the people some of the time, but you can't fool all of the people all of the time (with the notable exception of the many ambitious attorneys temporarily holding-down low-paid jobs at the US federal Trade, and Securities and Exchange, Commissions). As far as I know, Carl Icahn has not instigated a fraud, but, even though (one day when caught) he will no doubt laugh out loud and insist that we should blame our own silent watchdogs, he has bought a significant percentage of a criminal racket (comprising related-frauds) - lining his own pockets whilst helping racketeers (posing as philanthropic businessmen) to continue to thieve billions of dollars from the rest of the world and avoid being held to account. Currently, around 2 millions ill-informed people per year are being churned through the 'Herbalife' racket around the world, but (to date) few victims have dared to complain and demand their money back, mainly because billions of dollars of unlawful losing investment payments (made on the false expectation of future reward) have been allowed to be laundered as 'lawful sales to customers and end users' (based on value and demand), and effectively-unsaleable wampum has been given in return, but also because victims have been tricked into believing that only wimps and sore losers complain and that failure to make money is always entirely the fault of individuals who quit 'Herbalife': never that of the 'Herbalife MLM Income Opportunity' or its sponsors. During 2013, Carl Icahn acquired 17% of 'Herbalife (HLF),' pumping his own share of the market price of the effectively-valueless, counterfeit 'Direct Selling' company, to the tune of half a billion dollars, by inverting reality and steadfastly pretending that a financial fairy story (worthy of Bernie Madoff) is true, and that anyone who says it isn't, is a puerile liar. Meanwhile, back in the adult world of reality, more than half a century of quantifiable evidence, proves beyond all reasonable doubt that what has become popularly known as 'Multi-Level Marketing' is nothing more than an absurd, cultic, economic pseudo-science hiding in plain sight, and that the impressive-sounding made-up term, 'MLM,' is, therefore, part of an extensive, thought-stopping, non-traditional jargon which has been developed, and constantly-repeated, by the instigators, and associates, of various, copy-cat, major, and minor, ongoing organized crime groups (lurking behind labyrinths of legally-registered corporate structures) to shut-down the critical, and evaluative, faculties of victims, and of casual observers, in order to perpetrate, and dissimulate, a series of blame-the-victim closed-market swindles or pyramid scams (dressed up as 'legitimate direct selling income opportunites'), and related advance-fee frauds (dressed up as 'legitimate training and motivation, self-betterment, programs,' etc.). Furthermore, no honest observer now seriously disputes that the most-deluded, core-'MLM' adherents see the world only in two dimensions, 'positive vs negative.' The growing mountain of evidence shows that vast numbers of ill-informed victims have been deceived into entering this style of dissimulated cultic swindle, then, on the pretext that 'the exact duplication of a step-by-step positive plan will lead to success and limitless financial freedom,' they have been intellectually-castrated (without their fully-informed consent) so that their minds will only accept what their leaders have arbitrarily defined as 'positive,' whilst systematically excluding what these same cultic charlatans have arbitrarily defined as 'negative.' Thus, when seen only in the fake 'positive' context of: 'Business', 'Independence', 'Financial Freedom' , 'Low Risk' , 'Direct Selling', 'High Quality, Good-Value, Scientifically-Proven Products', 'Research','Development', etc. 'MLM income opportunities' can appear to be authentic. 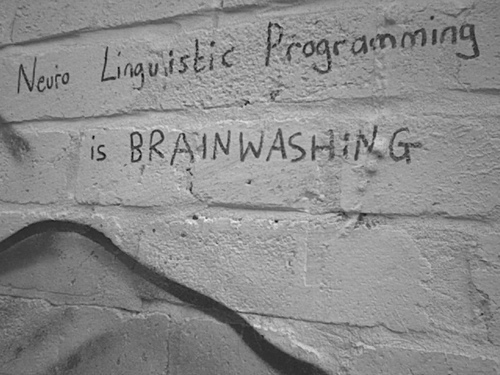 Sadly, this dangerous inversion of reality has been further confirmed by celebrity/political/scientific/corporate endorsements contained in glossy-advertising. Self-evidently, when the wider-picture is examined (by persons with fully-functioning critical and evaluative faculties), all two-dimensional 'MLM' propaganda forms a pattern of ongoing, major, racketeering activity, because these artificially-created, fake 'positive' contexts have actually been financed by the proceeds of crime in order to perpetrate further crime and to prevent the victims from confronting reality and complaining. I hope the FTC will finally take on an MLM giant and make a definitive meaning out of "end user". If they do that, they can take on Amway next. But I'm not holding my breath. Joecool - By the FTC, do you mean the succession of ambitious attorneys temporarily holding down low-paid government jobs, and whom 'MLM' racketeers have easily kept bedazzling (for decades), with the attractive prospect of much higher-paid employment in the private sector (provided they keep their noses clean)? Obviously, if US regulators had been doing their temporary low-paid job (i.e. protecting their employers, the American people), they would never have been so dumb as to allow economically-unviable closed-market swindles dressed up as 'multi-level direct selling' schemes, but which offered their participants commission-payments on their own purchases.